Famous Irish-Americans-Actors include many of the "A" list we come to know as gracing the screens of Holywood. From heart-throbs George Clooney to Robert Redford they all have some Irish in their background and we provide a short list of some of them below. If you are interested in tracing Irish ancestry a good website to start is genesreunited which has an international and local search and was ranked number 1, family website in 2010. In addition to his Irish heritage, John Wayne also had Scottish and English ancestry. Best known for his parts in "Fort Apache" and "Rio Grande," he was a classic American tough guy and much-loved throughout the world. Bing Crosby was known as a star on the radio and in the movies. His songs topped the charts time and time again. Surprisingly, he had more No. 1 singles than Elvis Presley or The Beatles. Bing is forever remembered for his rendition of "White Christmas." Considered to be one of the greatest movie stars of all time, Marlon Brando was a very talented Irish American actor from Omaha, Nebraska. Brando was popular on Broadway as well as the silver screen and is best-known for his role as Don Corleone in "The Godfather." One of the more obvious members on our list of best Irish American actors , Robert Redford. Best known for his films, "Butch Cassidy and the Sundance Kid" and "The Sting," his most recent film was "Lions for Lambs," released in 2007. One of the famous Irish-Americans-actors to ever grace the silver screen spent an entire year sleeping in a friend's closet because he couldn't get a role in a film. 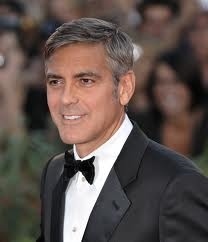 Fortunately, George Clooney's acting success has changed for the better and he's now known for great films like "Ocean's Eleven" and his role of Dr. Ross on "ER." A Famous Irish Americans actor of Irish and Dutch descent, Jack Nicholson was abandoned by his father at a young age and raised believing that his grandmother was his mother and that his biological mother was his older sister. Jack Nicholson is perhaps best known for his roles in "The Shining" and "As Good as it Gets." If you're looking for the quintessential macho man, it's Clint! Clint Eastwood is best known for his roles in spaghetti westerns and the "Dirty Harry" collection. Harrison Ford grew up in Park Ridge, Illinois. Amusingly, Ford gave up acting to pursue a career in carpentry but would later try again, landing the role of Han Solo in "Star Wars." He also starred in the hit "Indiana Jones" movies. He decided to become an actor after meeting with Nicolas Cage and made his debut in "A Nightmare on Elm Street" in 1984. Since then, he has starred in many movies, including the popular "Pirates of the Caribbean." Considered to be one of the greatest actors of his time, Robert De Niro is one of the best Irish American actors to ever play a mobster. While he's starred in many great movies, he's probably best known for his role in the 1990 film "Goodfellas."